“Metrojet Engineering Clark delivered our aircraft on time and defect free from a major 144 month maintenance inspection. The down time was very competitive at 23 days and the service and dedication of the Clark team was second to none in the Industry,” commented Mr. Lester Ingram, Aviation Consultant of the G350. The development of Metrojet’s aircraft maintenance business in the Philippines sees gradual blooming results. The engineering hours of Metrojet Engineering Clark in 2018 Q1 has been significantly increased together with the workforce and maintenance capabilities improved. 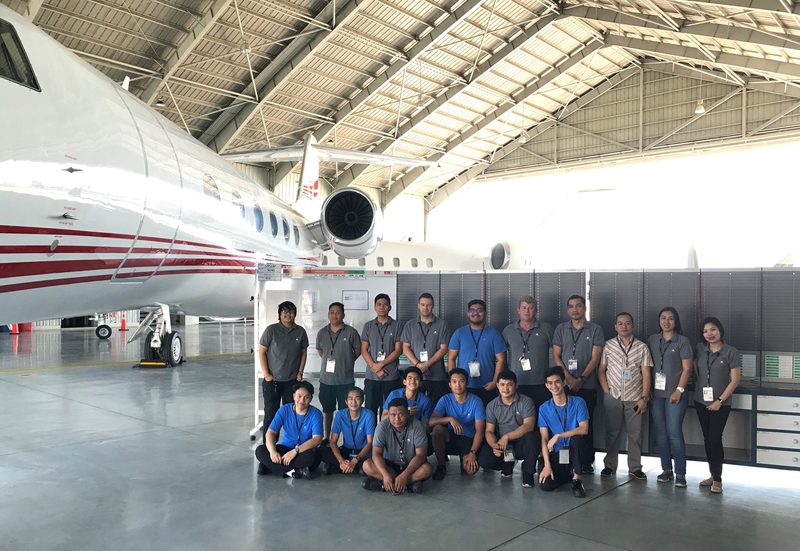 Another 60m inspection on a Bombardier Global 5000 is scheduled to be done in May at the MRO facility and the company is also in the final stages of presenting for board approval the building of a state-of-the-art business jet hangar facility for parking and aircraft maintenance in the Philippines and more details shall be released when settled.